The gate unlocks, and everyone can go inside. Stuffed with plastic dragon fruits and carton boxes full of CDs, the central room barely fits a single person. More fruit lies scattered around gold-and-red shrine in the centre. Buddha statues wave their tiny hands at Vietnamese inscriptions on the walls; monotone chanting gives the illusion of someone singing upstairs. However, only photos of smiling monks and bright orange robes drying in the hallway indicate life inside the temple. With everything written in Vietnamese, Vinh Nghiem is its own world. Matuska says they try to apply Buddhism to everyday problems. 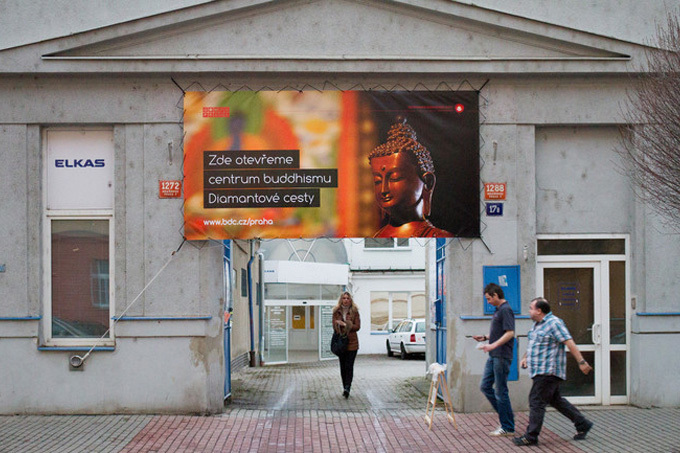 Apart from occasional art exhibitions, religious inaugurations and other events, the center hosts meditation sessions and lectures in English and Czech, focusing on “enlightenment” every day. 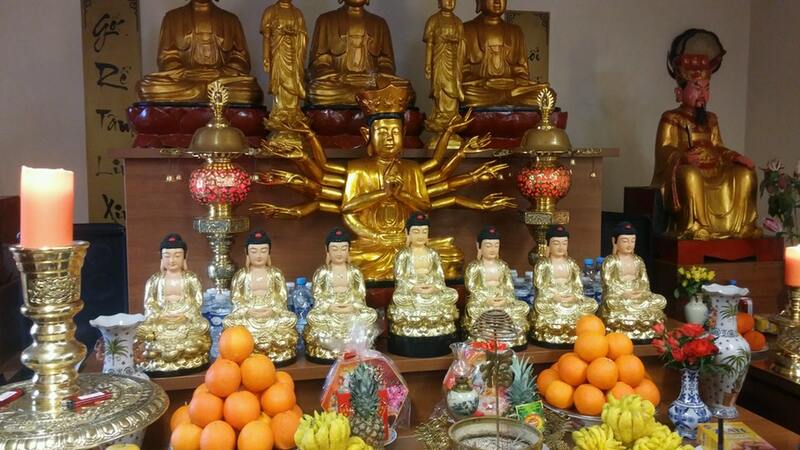 When asked about the first Buddhist temple in Czech Republic, built by the Vietnamese monk family in Varnsdorf in 2008, he didn’t know it existed.